At the center of the Amber Cove complex is a granite hill that rises steeply up from the surrounding flatlands. On this hill are a number of attractions. 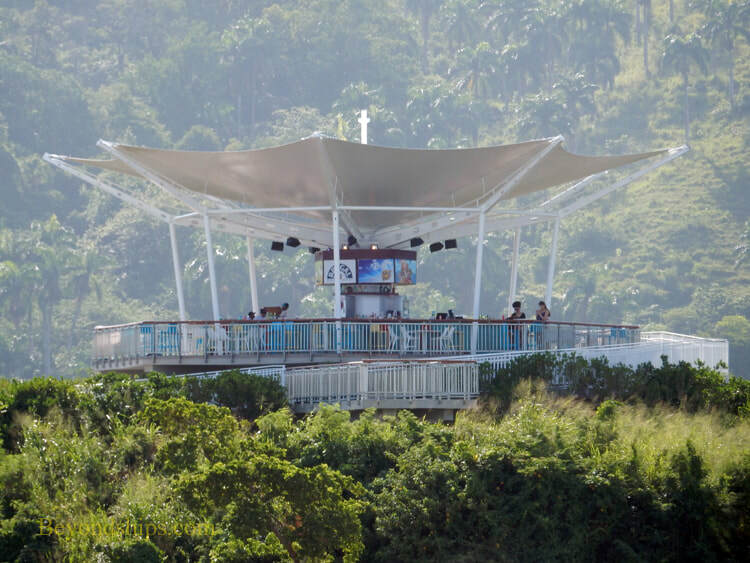 The Sky Bar at the top of the hill (above right) is a bar that features panoramic views over the countryside. 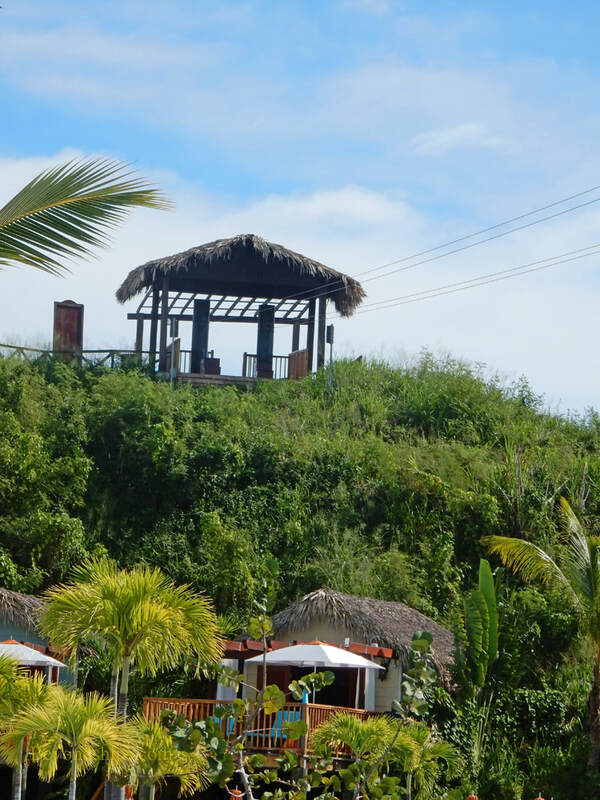 The top of the hill also serves as the jumping off point for Amber Cove's two zip lines. There is a charge for the zip lines. 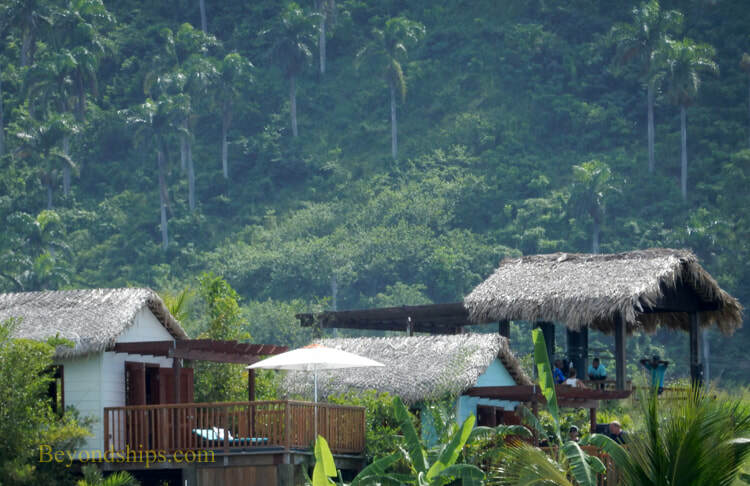 On the slopes near the top of the hill are luxury bungalows (below).​ There is a charge for the bungalows.